back working with Friends of the Earth, helping them take forward the vast quantities of ideas that came out of their recent staff away days. 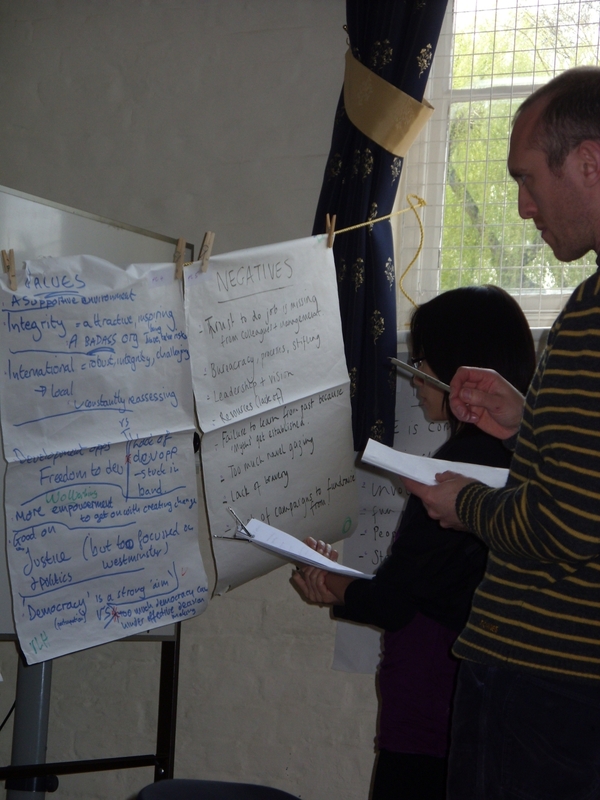 10 staff members spent 4 hours painstakingly sifting through a mound of flipchart paper and video footage to distill the collective wisdom of the staff into a form that can be presented back to the organisation sometime next month. bubbl.us. It’s not a tool I’d come across before, but it seems easy to use and the results look better than other similar tools I’ve used. The only downside is that it’s not open source software, so I searched online for some open source equivalents that you might like to play with. I haven’t used these myself. Feel free to report back! This particular process also used video and digital photos. Short video clips were taken so that the staff who weren’t present could get a sense of the process that their colleagues undertook as well as to make the process transparent and accountable. 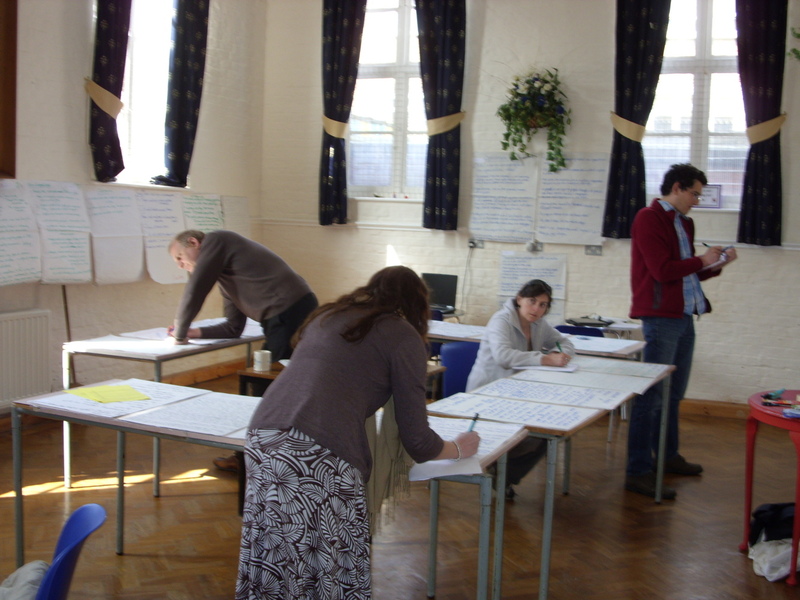 Each and every flipchart was photographed, working on the principle that if anyone ever had a query about what was originally said they were very unlikely to locate and then trawl their way through a pile of 50-60 sheets of flipchart paper gathering dust in a corner. They might be able to locate and view a clearly named photo file.